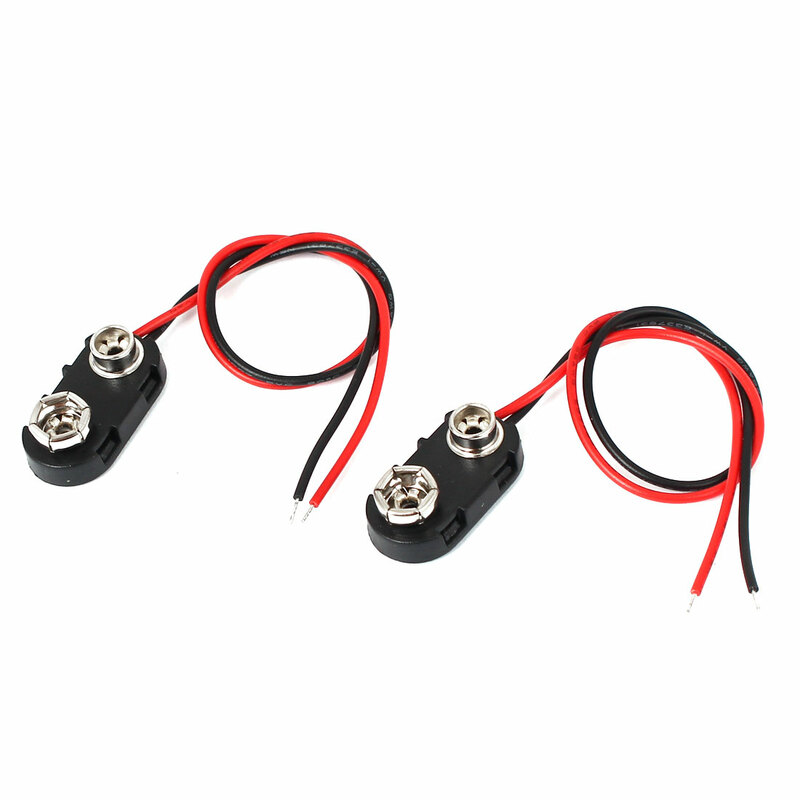 Plastic shell, 2 wire connection, is suitable for 9V batteries. ?Hard plastic I-type connector. Note: Battery is not included here ! Main Color: Black, Silver Tone, Red; Wire Length: 15cm/6"